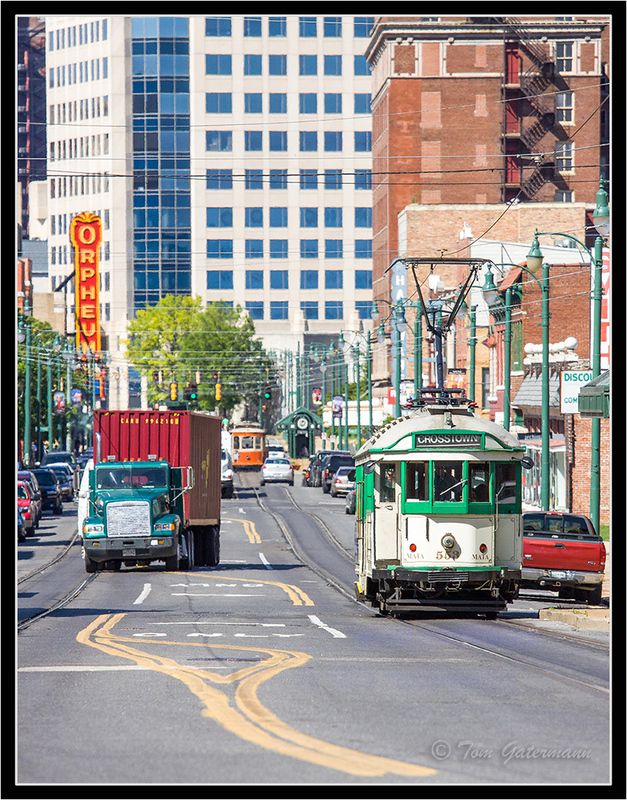 MATA trolley 553 rolls down South Main Street. Trolley 553 was built by the Melbourne and Metropolitan Tramways Board, circa 1927. Unfortunately, in 2014, 553 caught on fire and was damaged beyond repair. April 29, 2011. Memphis, Tennessee.